Proposal submission and evaluation: two-stage procedure. Call fiche here; full information here. Development of imaging technologies for therapeutic interventions in rare diseases. Modelling toxic responses in case studies for predictive human safety assessment. Innovative approaches to address adverse immune reactions to biomedical devices, implants and transplant tissues. Safety and efficacy of therapeutic vaccines. Development of alternative in vitro, analytical, immunochemical, and other test methods for quality control of vaccines. Controlling differentiation and proliferation in human stem cells intended for therapeutic use. Functional validation in animal and cellular models of genetic determinants of diseases and ageing processes. High impact research initiative on metagenomics for personalised medicine approaches. Prospective longitudinal data collection and Comparative Effectiveness Research (CER) for traumatic brain injury (TBI). Development of effective imaging tools for diagnosis, monitoring and management of mental disorders. Paediatric conduct disorders characterised by aggressive traits and/or social impairment: from preclinical research to treatment. Pathophysiology and therapy of epilepsy and epileptiform disorders. Stratified approaches to antibacterial and/or antifungal treatment. Clinical management of patients in severe epidemics. Neglected infectious diseases of Central and Eastern Europe. Drug development for neglected parasitic diseases. Investigator-driven treatment trials to combat or prevent metastases in patients with solid cancer. Strengthening the cancer patient’s immune system. Investigator-driven supportive and palliative care clinical trials and observational studies. Discovery research to reveal novel targets for cardiovascular disease treatment. Comparative effectiveness research of existing technologies for prevention, diagnosis and treatment of cardiovascular diseases. Optimising lifestyle interactions in the prevention and treatment of cardiovascular disease across the lifespan. Comparative Effectiveness Research (CER) in health systems and health services interventions. Social innovation for health promotion. Supporting industrial participation in EU-funded research in the Health sector. Interactions between EU legislation and health research and/or innovation and the effects of its application and implementation on health research and/or innovation. Support for Presidency events: Organisation of supporting actions and events associated to the Presidency of the European Union. Preparing the future for health research and innovation. Global initiative on gene-environment interactions in diabetes/obesity in specific populations. Mapping chronic non-communicable diseases research activities. Investigator-driven clinical trials for off-patent medicines using innovative, age appropriate formulations and/or delivery systems. New methodologies for clinical trials for small population groups. Note: in this SME-focussed call, there are somewhat different qualifying criteria. Boosting the translation of health research projects’ results into innovative applications for health. Drugs and vaccines for infections that have developed or are at risk of developing significant anti-microbial resistance. 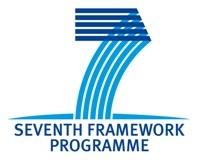 Update: The HSC R&D Division offers funding to HSC researchers for FP7 partnership development. Contact Dr Janice Bailie – tel: 02890 553617; email: Janice.Bailie@hscni.net.